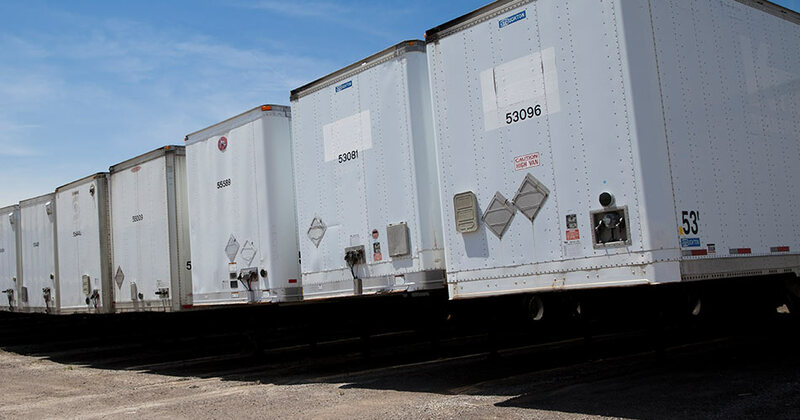 With multiple locations across the GTA to serve you, renting a storage trailer from Train Trailer is like having your own company warehouse on wheels. With over 30 acres of storage area, Train Trailer can provide a dynamic range of secure storage options to suit any company's needs. Train Trailer’s fleet of trailers are clean, well-maintained certified storage containers. Trailer sizes range from 28’ to 53’, allowing up to 3,000 cubic feet of storage area. All trailers are road-worthy, and can be safely delivered to their final destination. Not only we do we provide dry, secure trailers for your short and extended storage requirements, we also offer pickup, storage and delivery service for your added convenience. We deliver, you load, we pick up and store till you need it back... simple as that. Our long or short-term truck parking can accommodate trailers of any type size or type. With 24/7 access to our outdoor parking, we are an ideal staging location for your truck and trailer fleets. Load King Trailer Rentals C-TPAT approved. We are a secure facility with controlled access and video surveillance.